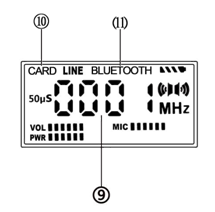 TF card MP3 function, Bluetooth audio, rechargeable battery. FU-X01CK Fm transmitter is FMUSER’s new cost effective design integrating TF Card mp3 reader,bluetooth,rechargeable Battery power function in one small box. 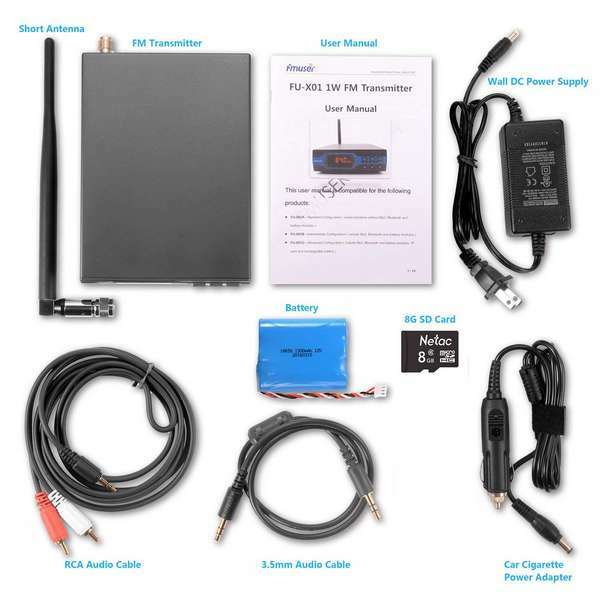 FU-X01CK is designed for home use ,it is easy to change frequency due to its worldwide band of 76-108mhz. The audio pre-emphasis is also adjustable between 50US(EURO) / 75US(USA). 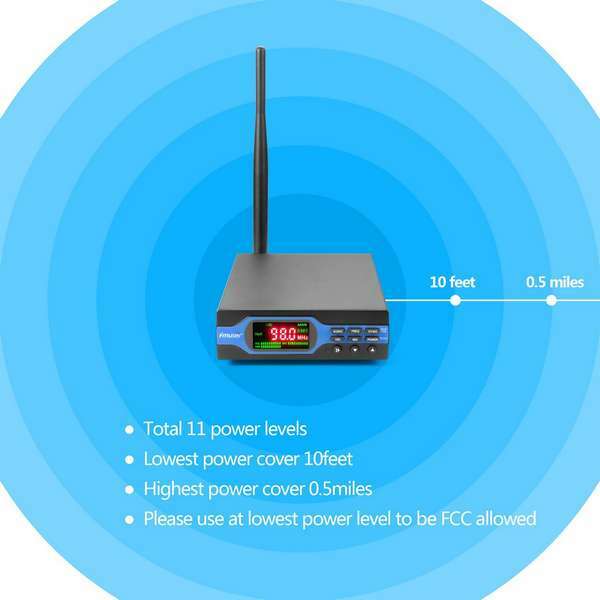 The transmitting power is also tunable from 0-11 steps to control the cover range. Another surprising innovation is the Auto-shut down function, when there is no audio input, the device will be powered off automatically to save the power. All the setting will be saved and be the same on next boost. * 3 modules optional, TF card MP3 function, Bluetooth audio, rechargeable battery. 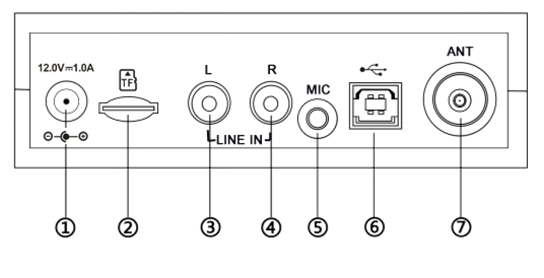 * Microphone input volume will be tuned up in priority when there is an input, the main volume will be tuned down automatically. 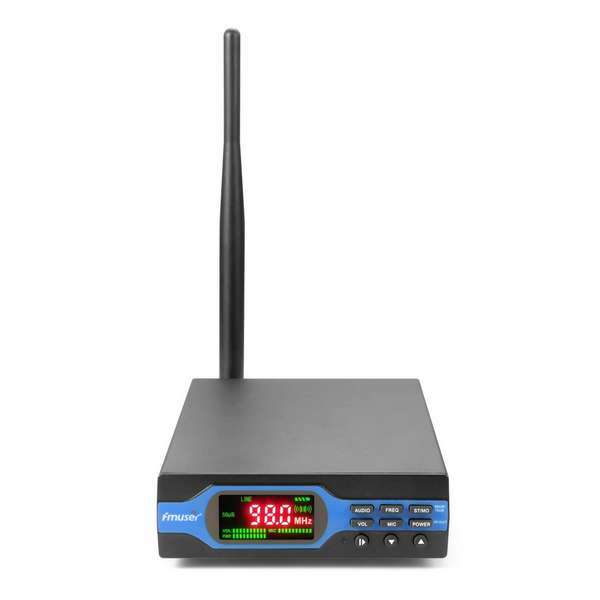 * RF output power is adjustable from 0~1w by 11 levels. Level 0 means no power is transmitted out. * Current settings will be memorized, it automatically starts from the previous settings when the transmitter is turned on again. RF Power: 0-1W ,11 levels adjustable. 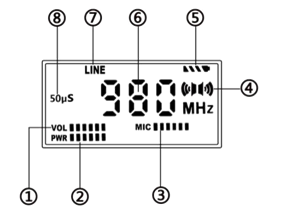 Audio control:electronic volume control,11 levels adjustable from 0~10, level 0 means no volume output. 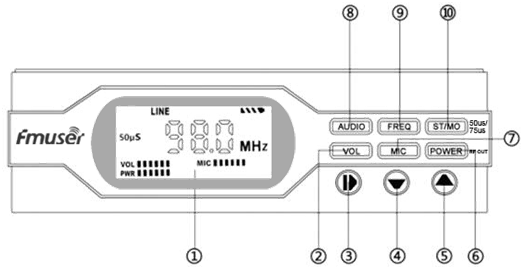 MIC control: electronic volume control,11 levels adjustable from 0~10, level 0 means no volume output. MP3 Play: Play/Pause, Previous, Next. MP3 Play: switch to MP3 mode, press play button to play loop. song details will be shown by 3 seconds when it’s playing. support MP3 play control by Bluetooth. 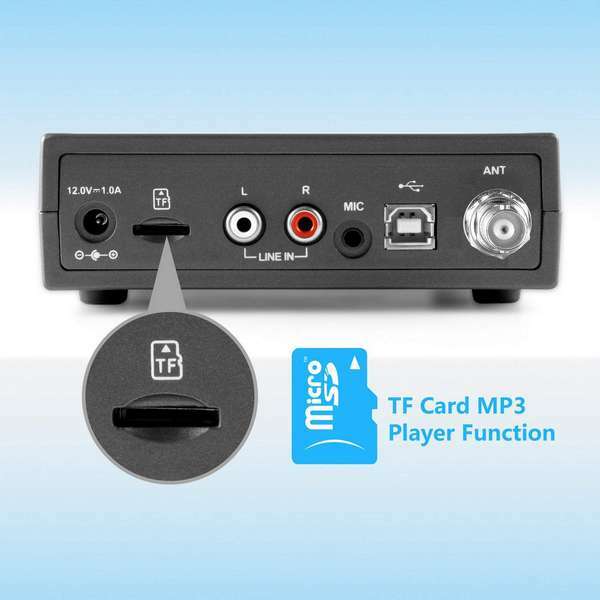 MP3 song choice: support choosing songs by Bluetooth or serial ports. 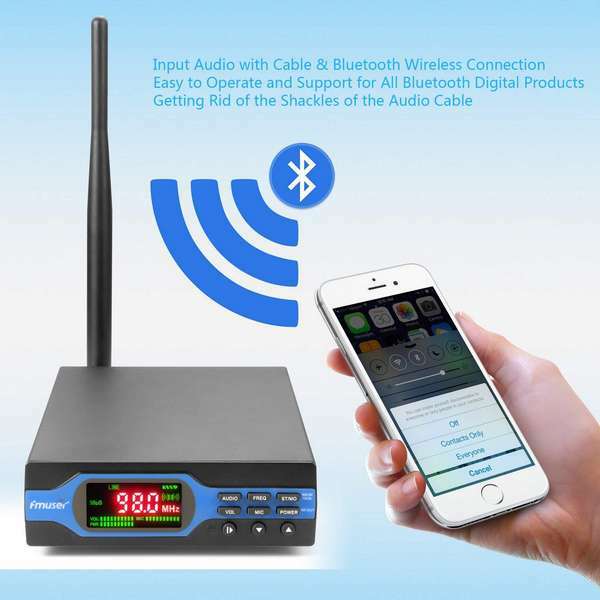 Bluetooth control:support Bluetooth control all operations of transmitter. Bluetooth distance: <= 10 meters. Bluetooth play: supports control Bluetooth play/pause/previous/next from device. Use Battery: support external battery, 3pcs of 18650 li-on battery. automatically stop charging when battery is full. 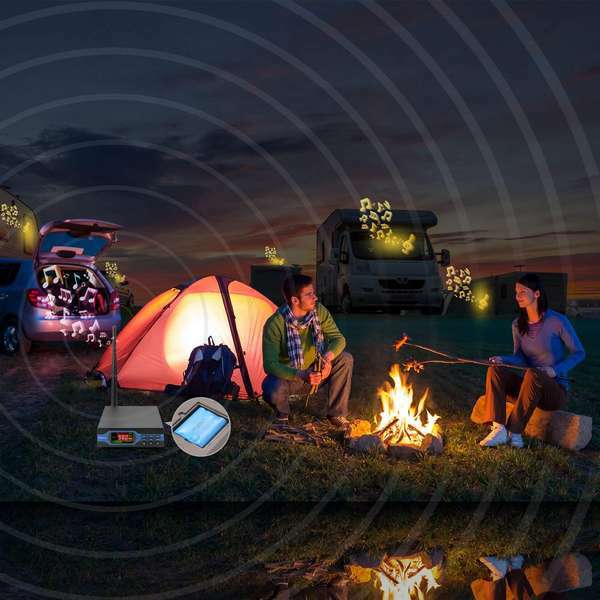 Battery protection: When the voltage of battery goes down to the lowest level, the battery will stop output automatically to protect itself from damage.